They have been with you on good runs and bad runs, sunny days and storms. You have probably spent a lot of money on these lovely shoes, more than you might ever spend single pair of going out shoes. From washing your shoes right to lacing them correctly, you can really get the best value from your running shoes by looking after them. Firstly, never take your shoes off without untying your laces. As you try to force your foot out, you risk breaking the support structures throughout the shoe. Also if you always untie your laces then you will have to tie them fresh every time you put them back on. This means they are at the correct tightness when you start your run. Double win. How tight should they be? With your shoes tied, as you normally tie them, pop your finger under one or two of the laces, now give it a pull. If there is a lot of give here, make sure you tie them a little tighter. We see so many people running in expensive shoes, but not using the support of the laces. Follow our tips on tying your laces correctly for extra support. Obviously you want your shoes to last and to look fresh for as long as possible. Do not put your runners in the washing machine or tumble dryer. If they get dirty allow the muck to dry then brush it off and wipe clean with a damp cloth. If your runners get very wet on a run stuff them with newspaper and place them near the radiator, this will help them dry quicker. When should I replace my runners? The lifetime of your runners really depends on your mileage. Each pair of shoes has approx 500 good miles in them, so decide based on how frequently you are running as to how often you change your shoes. It would be great to have 2 pairs of runners on the go at a time, so when your first pair reaches about 250 miles, introduce a 2nd pair. Then you always have a pair broken in and a pair for back up. 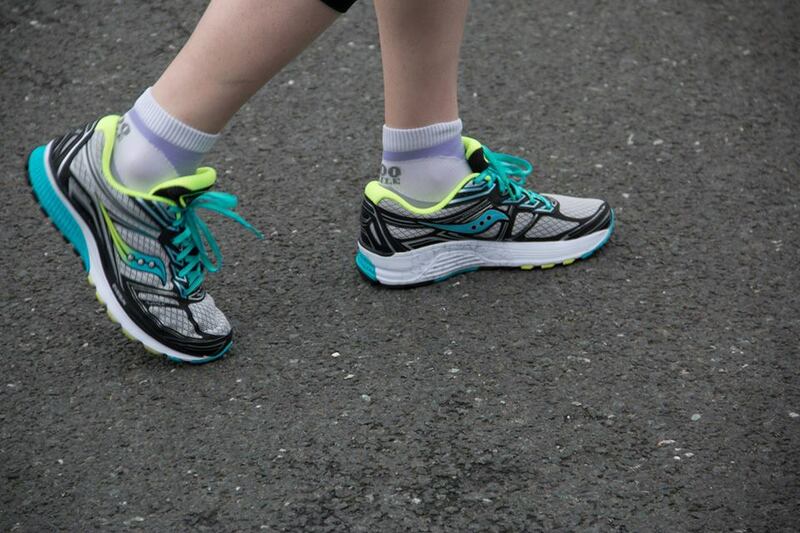 This can really help if your runners get wet on a run and it can benefit your running to vary your shoes during your run or if you keep a pair of runners at work for lunchtime runs you don’t need to always carry them home. Remember the miles you walk in your running shoes also count towards your 500 miles. We often forget the days we walk to work in our running shoes – these also all add up. Which runners work for you? We all have different running styles and different feet. So no two runners will have the same experience with every shoe. It is important to find the shoe that works for you and get some expert advice. 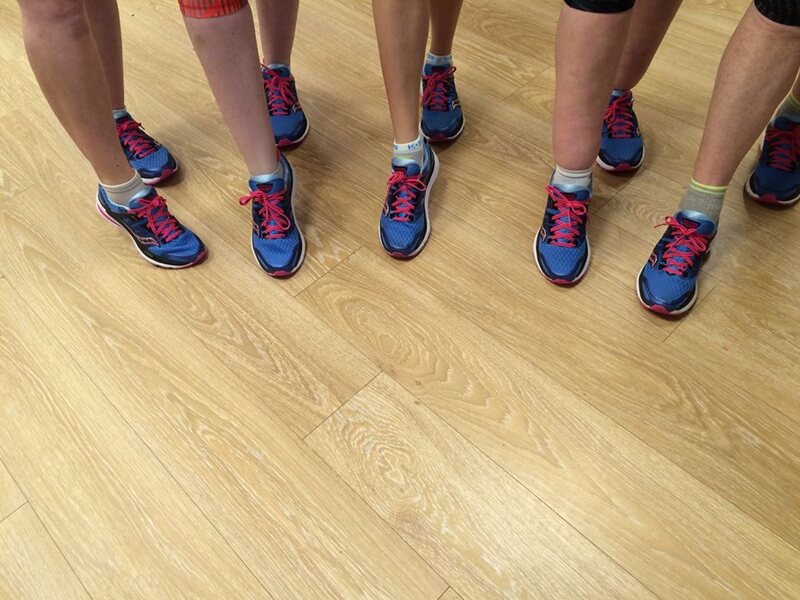 At our Ladies day in Feb 2016 at Amphibian King Ballymount we met with Csaba from Saucony who gave us some insight into how Saucony are now producing their shoes based not on athletes testing but testing on every day runners (like us). They also put us straight on how to pronounce their brand (sock- o knee). Before you go and buy a pair make sure you get some expert advice. The guys over in Amphibian King will do a full gait analysis with you before deciding which shoe is suitable for you. 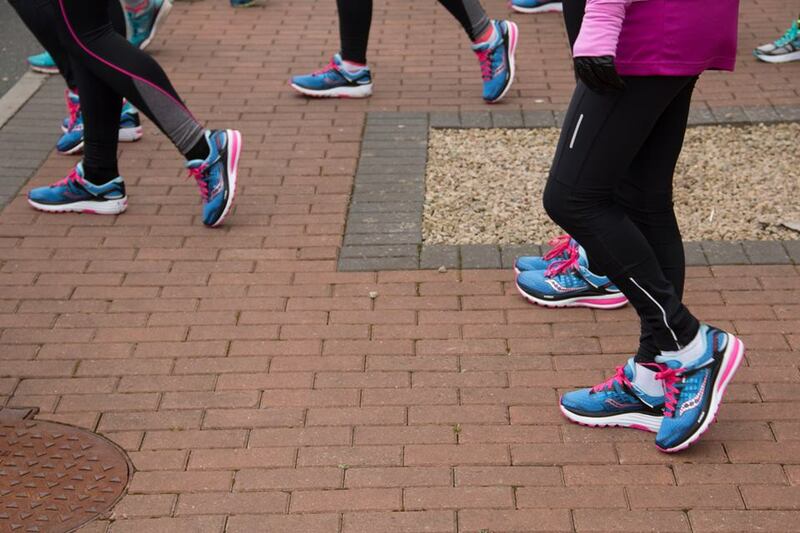 We have previously written about tips for buying new runners and you can have a look at Mary’s adventures to buying her new shoes once her ‘trusty reliables’ were no longer available. For information on more running gear tips and advice see our full blog.